The business intelligence team is embedded within the Construction organization. The dynamic team is comprised of a diverse group with unique backgrounds in supply chain management, finance, data analytics, and construction. 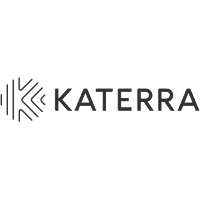 The team leverages their diversity and a collaborative approach to problem solving to tackle some of the most complex challenges facing Katerra. The team is tasked with supporting Construction central/field operations leadership and does so by workingcollaboratively with all functions (Product Development, R&D, Design, Engineering, Sourcing, Manufacturing etc.) tocontinuously improve our end to end supply chain. The ideal candidate will have an analytical mindset and a passion for leveraging data to identify opportunities for continuous improvement. In addition to identifying opportunities, they will act to implement process and technology to drive improvement. They must have a strong desire to learn many aspects of business and a desire to work cross-functionally to solve problems impacting many areas of the organization. The candidate must have a strong work ethic, be comfortably with ambiguity, and champion projects with minimal supervision. They must have a desire to work with teams and are comfortable seeking out information from internal stakeholders across the company.